Preparing for a workers’ compensation audit is something that is often dreaded. Going through all the steps can be quite tedious, and any oversights in the process can lead to unpleasant surprises in the form of costly charges. However, if you make a conscious effort to thoroughly understand the audit process and prepare for it in advance, the following common mistakes can be avoided. If you believe employee classification is a no-brainer, think again. There are hundreds of classification codes, and even a task performed once or twice a year can put an employee under a different categorization code than they would be in otherwise. This can seriously screw up your audit. Deductions will vary depending on the state, so be sure to familiarize yourself with your state’s rules. Often overlooked are overtime, double time, and severance pay deductions. 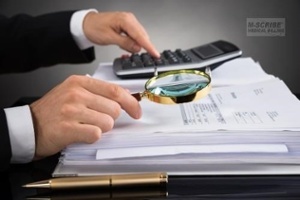 Audits are unavoidable and heavily scrutinized. Any omitted information, accidental or not, can lead to a costly charge. All deductions will need be verified with paperwork. If any portion of your payroll went toward workers’ compensation, you must include accompanying documentation. An insurance company can’t change your rates on a whim, there are very specific rules they must follow. However, when these rules are not followed a failed audit is the result. Errors occur when an insured subcontractor is mistakenly included in your uninsured contractor list. Also, uninsured subcontract labor adds to your premium. Mistakes on your workers’ comp audit are best not made, but they do happen. We’re all human, after all. What’s important to understand is that the easiest way to fail an audit is to fail to ask the important questions. We’re here to help. To learn more about your workers’ comp insurance options, give us a call at 617-924-5600 today.